Growing Paper manufactures handmade seed paper sheets. 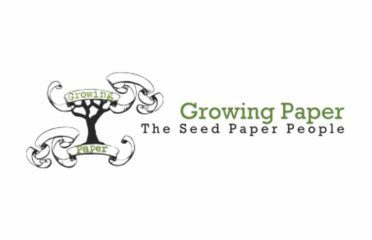 Our 100% recycled paper sheets are embedded with seeds that will grow into flowers or herbs once you have planted your used product. Except for our seed paper sheets, we also make Wedding invitations, gift tags, bookmarks, business cards, coasters, postcards, flyers and much much more. Growing Paper make our handmade seed paper sheets from post-consumer waste paper and process it to make our lovely range of environmentally responsible products. Since the papermaking process uses large amounts of water, we reuse our wastewater for farming activities on the farm where our factory are located. Our products are printed with water-based ink. Furthermore, our products are made in such a way that any part of the product which isn’t plantable, is either biodegradable or recyclable.